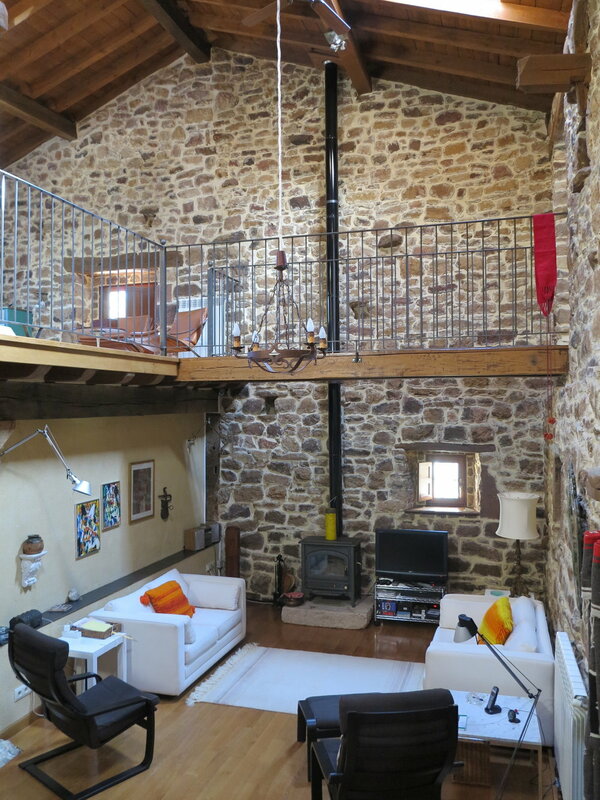 The property, consisting of one fully renovated stone house and an attached partially renovated stone house, both with gardens, is located in a charming village at the foot of the mountains of Alto Campoo. 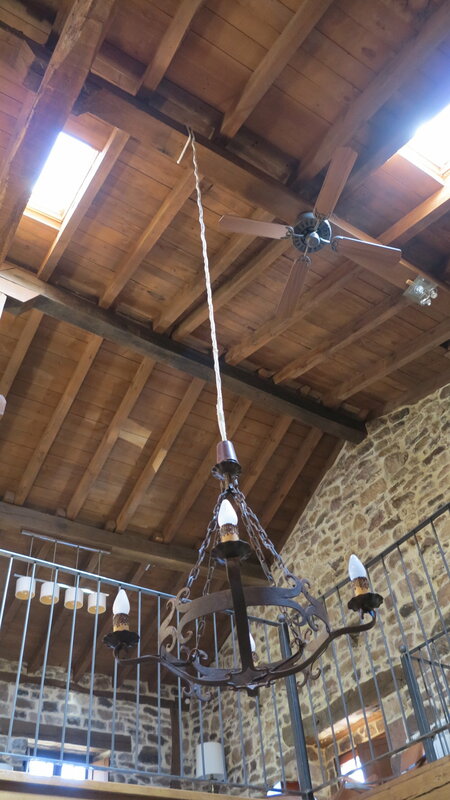 The property is an ideal country getaway and a base for exploring the area, rich in Romanesque and medieval architecture, bird watching and nature walks, skiing, and rafting. 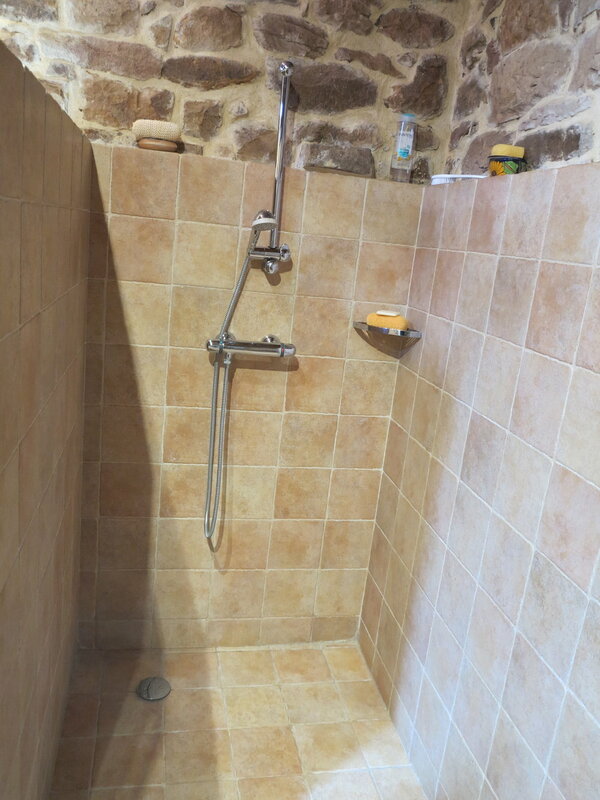 The property is 8 km (5 miles) from Aguilar de Campoo (population 7,000) a full-service town with its medieval castle and two hours from Santander, which has an international airport and ferry service to England. The village of Aguilar de Campoo, first mentioned in chronicles of the 1200’s, is a 3-hour drive or train ride from Madrid, one hour from the beaches in the north (Santander, Comillas), two hours from La Rioja wine region, two hours from Bilbao (Guggenheim Museum and world-renowned restaurants) and 35 minutes from Alto Campoo ski slopes. The views from the house and the village are stunning and reminiscent of scenes from the movie The Gladiator. 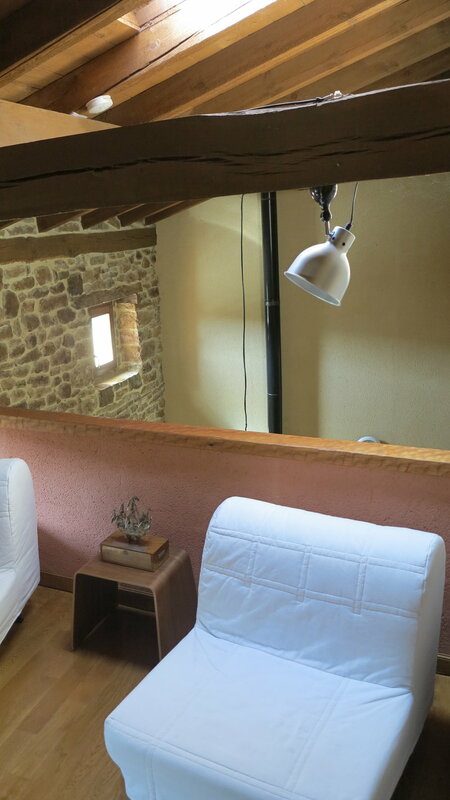 The 1,346 sq/ft (125.10 m2) all-stone house was completely renovated 10 years ago and is designed on a modern open-plan consisting of a kitchen and dining area at its entrance, a large double-ceiling living room with fireplace, guest bedroom, bathroom, and utility room in the first floor and a large bathroom, sleeping loft, and a study accessible via an elevated walkway spanning over the stunning living room. The house, sold fully furnished, boasts central heating, washer, dryer, refrigerator, dishwasher, WiFi, telephone (landline) and security cameras accessible from anywhere in the world. The 3,627 sq/ft (337 m2) garden is charmingly walled in stone and has a stone shed, originally the oven house, in the far right corner. 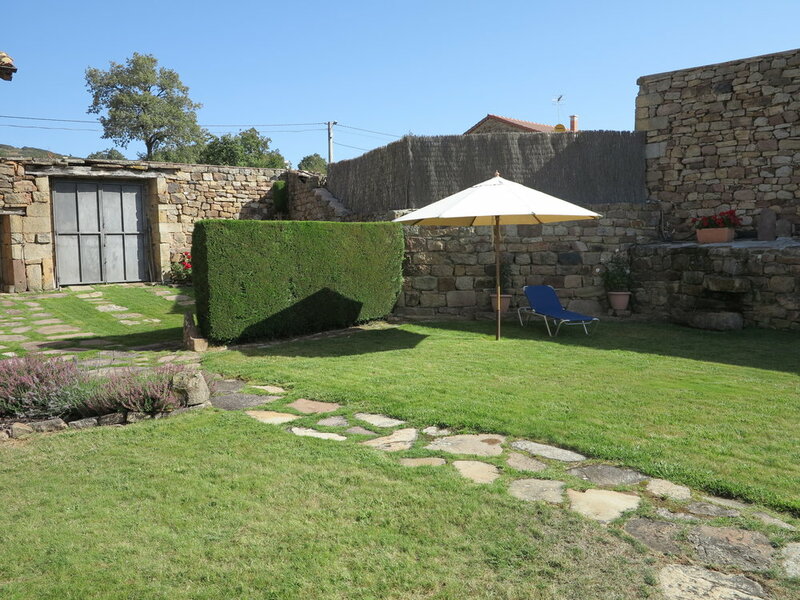 The adjacent, partially renovated stone house of 1,184 sq/ft (110 m2) and sculpture garden of 2,196 sq/ft (204 m2) provides an unusual opportunity to create a separate property or an adjoining guest house/caretaker home.